Access All Areas members have a collection of joyful hand lettering graphics to download this week, courtesy of Freepik. These New Year letterings all feature a seasonal ‘Happy New Year’ greeting in a variety of type styles, complemented by decorative graphics. Easily create card prints or online promotions by using these ready-made designs, or break apart the artwork and use the individual assets in your custom illustrations. Freepik is home to over 1.4 million free graphic files, including everything from vectors and PSD files to Stock photos and Icons. All the resources are designed by Freepik themselves, so you’ll find loads of exclusive items that just aren’t available anywhere else! Get 30% off their annual plan with the code: 30FREEPIK. 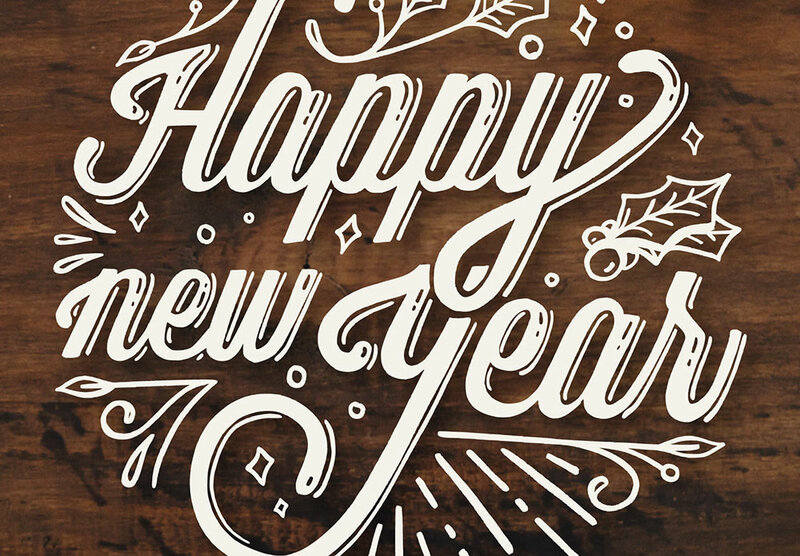 This collection of New Year Letterings contains 10 ready-made illustration pieces featuring hand-drawn elements and a range of decorative elements. Each design is supplied in vector AI and EPS format, so they can be easily scaled to any size for greeting card prints, posters or use within digital promotional graphics. Chris i really love your work. I just have been having a hell of a time with the previous Christmas lettering cards. Every single time I try to open the .ai files or even the eps files my Illustrator simply freeze and crash. Any suggestions?